Humble beginnings are the seeds for bigger things to come: Mahindra North America started with one man, one trailer, and the will to Rise anchored by strong roots in the town of Tomball, TX in 1994. This is the “Mahindra Way” of doing business called Rise: accepting no limits, alternative thinking and driving positive change fuels our determination to succeed. We engaged our customers one-by-one so people could experience the Mahindra difference: our commitment to deliver the toughest products on earth. Today, we are not only the fastest growing tractor brand in North America, we are the World’s #1 Selling tractor. We partner with our customers and dealers who share our values and principles of working hard, delivering on promises and going above and beyond. Our tough, dependable, value packed products are sold and serviced by more than ~600 dealers throughout North America. 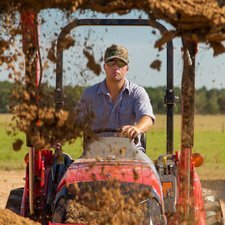 We perform a 51-point pre-delivery inspection, including dynamometer and road testing to ensure the highest standards of quality for our Tractors. Our tractors are assembled in 6 locations across North America. We are proud and honored that Mahindra has a 98% customer loyalty rating. It's our mission to provide the highest level of customer satisfaction and dealer support. That’s why we offer the Toughest Tractors on Earth. In short, mCRD saves you time, hassle and fuel & maintenance costs for more efficient operation for your personnel. PUSH MORE, PULL MORE, LIFT MORE with powerful, productive equipment that is environmentally friendly and safe; helping to make your decision so much easier and cost effective. Our leading industry sub-compact tractor, the eMax Series, offers a tight turning radius of 2.2 meters to follow winding sidewalks and edging, while our work ready 105hp mForce Series can pull heavy duty rotary cutters down miles of roadside. 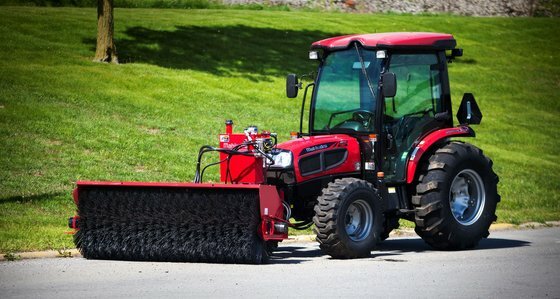 No matter the season or job, you can count on Mahindra the world’s #1 selling tractor. Just like you, we believe in working smarter, not harder to get the job done and ahead of schedule. Our implements and attachments are built to Mahindra specifications to provide best-in-class performance and value to get your work done. Lubricants, chemicals, fuel additives, canopies, filters, service packs, and parts for tractors, attachments, and implements. We stand behind our products and offer the industry’s best warranties, period. Across our entire portfolio of tractors, Mahindra provides either a "Best-in-class" 7-year limited powertrain warranty or “Best-in-class” 5-year limited powertrain warranty that surpasses all competitors. What does this mean to you? Simple, you get the confidence and peace-of-mind knowing that Mahindra has your back and we will be there for you, 24/7 and 365 days a year. People depend on you and you can depend on Mahindra. How do I place an order with Mahindra? You must be a registered OMNIA Partners participant to utilize the Mahindra North America contract. If you are not, please register now. Request more information and the Mahindra team will spec out and customize your request. 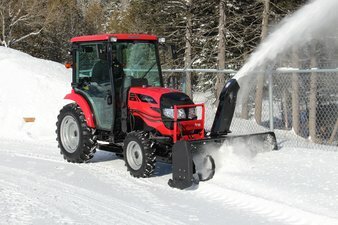 What products are available through this contract with Mahindra? 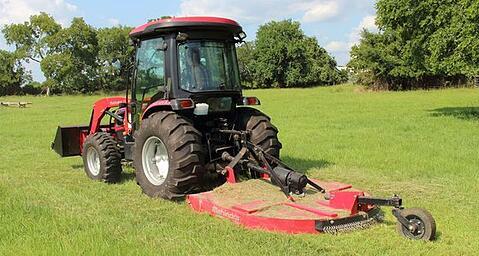 All Mahindra tractor models listed on the website including implements, and attachments. What is the pricing and shipping cost for Mahindra products? Mahindra North America has committed to providing the lowest public sector pricing available through the OMNIA Partners contract to participating public agencies. Additional information can be found by logging to OMNIA Partners. If an order is customized outside of Mahindra products, or long distances, there may be delivery or set-up charge. Keelan Kraham of Cherry Vally, New York evaluates the performance of the new 6075.